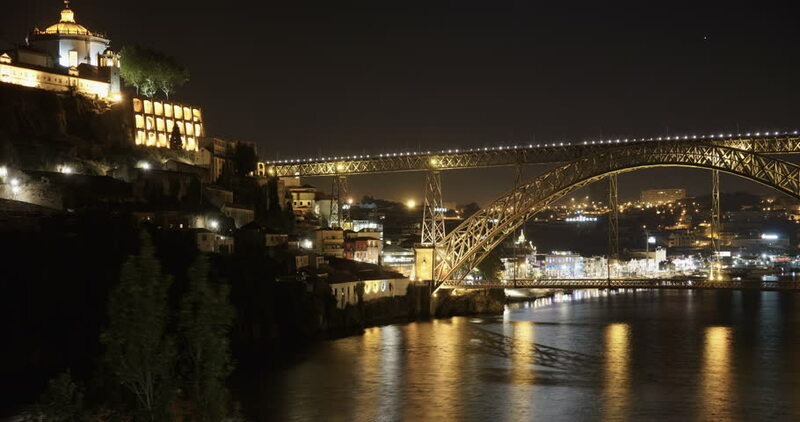 Porto, Portugal Dom Luis I bridge view over Douro river 4K night time lapse. Monastery of Saint Augustine of Serra do Pilar illuminated view. Vila Nova de Gaia area visible at background. hd00:1706.08.2016 Evening Moscow. Navigation on the Moscow river. hd00:1806.08.2016 Evening Moscow. Bersenevskaya embankment. Navigation on the Moscow river. hd00:10Pontevecchio timelapse, long Moon movement, fixed camera.